On: June 26, 2014 By: freethelake Posted in What's Going on at Khao Sok Lake? In the last centuries known as Ban Pruka the village had always been well traveled by merchants and traders on the “Phum Duang” river. The people of Ban Pruka lived a fulfilled live, living from the surrounding jungle, agriculture of fruits and rice as well as from fish farming in the close river. 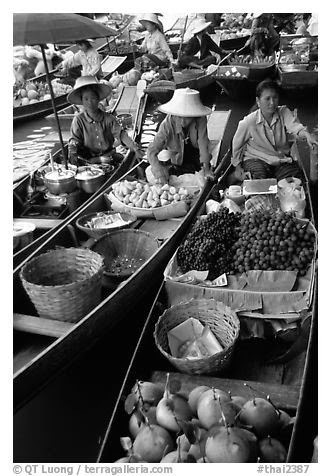 Merchants buying and selling in the village came as far as from China on Floating House Boats. In 1906, King Rhama V came to pay an undercover visit to the village, he used to travel around his empire without letting anyone know about his heritage in order to find out about the real intentions and needs of his people. It happened that he spent the night at Rueng´s house a well-accepted villager, the King promised him to become the mayor of the developing village. 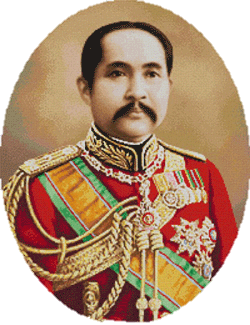 As the new mayor, the village were renamed Ban Ta Khun(Ban=House, Ta=old man, Khun= for “Khun Palad Rueng the mayor”). About 7 years ago the enlargement of the 401 highway, connecting Surat Thani and Phuket were completed and increased the bypassing traffic and the accessibility to Khao Sok Lake substantially. The planning for the coming years promises Ban Ta Khun a train station on the track between Phuket and Surat Thani. In 2013 Ban Ta Khun had over 15086 inhabitants from which most are Buddhist or a form of Hindu. Ta Khun used to be known for their excellent quality of Turmeric and Papaya fruit which still can be found on the local evening market in the middle of town. Even though a lot of Fruit orchards have been abandoned or been recultivated to rubber and palm plantations which also determines the mayor income of the region. There are two local hotels available in Ta Khun. Which provide air condition and wifi. There is a range of local restaurants, the choice of places with an english menue is fairly little though. But for those who are more adventurues we provide a textbook with basic translations in our Ta Khun office, so you can also order in Thai. Of course you can find many coffee stands around Ta Khun, selling the sweetened Nescafe coffee. If you are the kind of person who appreciates real espresso, just around the corner of our office you‘ll find the best coffe in town. No matter if you are strolling around Ta Khun for exploration or if you are just waiting for the bus, there is a massage shop close to our office which offers great massages for 200 Baht per hour. If you don‘t have the possibiliy to get a ride to the Dam to take a swim or if you are simply looking for a quick refreshment, there is a river passing by Ta Khun in which you can have a bath.